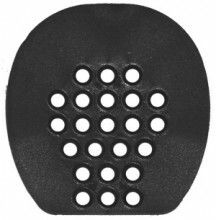 The NB Perforated Pad is a lightweight pad with holes molded into the center of the pad to help hold various sole support materials in the foot. 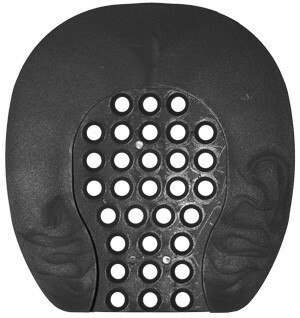 The Perf Pad can be used like a screen pad for injectable urethanes or silicone materials, or as a simple rim pad that does not leave the frog completely unsupported. 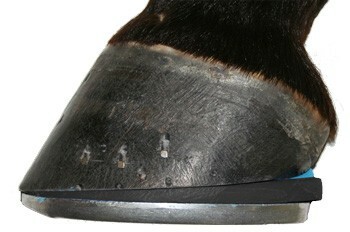 As a treatment tool, the wedged Perf Pad can be used right-side-up to change the hoof angle like a wedged rim pad, or up-side-down as a cradle pad to support a prolapsed frog in a horse with a negative plane coffin bone angle.